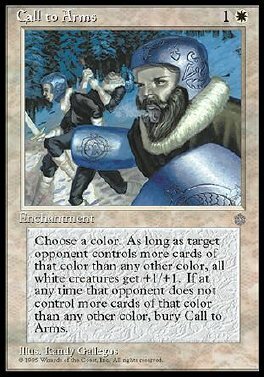 As Call to Arms comes into play, choose a color and an opponent. White creatures get +1/+1. When the chosen color isn't the most common color among permanents the chosen opponent controls, sacrifice Call to Arms.